The base ply we use is 100% Gurjan Plywood and it is totally sourced from Myanmar (Burma).The base ply is very accurately calibrated with no thickness tolerance and error. Further only phenolic resins are used to make plywood waterproof. Out of 10,000 species of hardwood found in the world, about 4,000 are useful in form of solid wood and veneers. Gracious veneers selects only from the finest hardwoods and is one of the leading manufactures of architectured grade, premium select veneers in india. 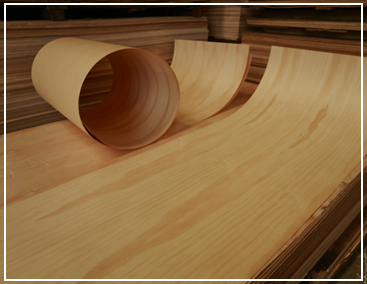 We use “ export-sliced” veneer exclusively for yielding better fit and best finishes. Consequently, the most distinguished veneer characteristics found in nature are truly expressed in our product range. Thickness of the Sheet : 4 mm. For customized requirement : We also use different base materials like MDF and any other thickness in ply. Face veneer thickness : Usually 0.5mm and above.